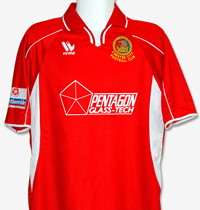 When Chester were formed in 1885 their original colours were red and white, and these were used until the club temporarily disbanded in 1899. When the club moved to Whipcord Lane, in 1901, the colours were changed to green and white and various combinations were used until the outbreak of the First World War, including green shirts and white shorts, green and white stripes and green and white halves. In 1919 the club entered the Cheshire County League and their new dark green shirts earned them the nickname the “Ivies”, although they were still more popularly known as the “Linnets”. In 1920 Chester changed to black and white stripes and a nickname of the “Magpies” was adopted. 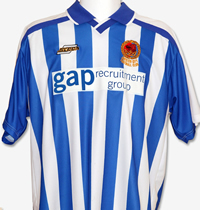 Black and white remained the colours until the arrival of Charlie Hewitt, as secretary-manager, in 1930 when Chester switched to the much loved blue and white stripes. 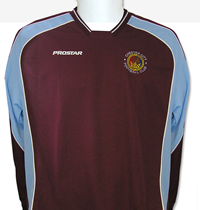 For the next 30 years the colours remained the same with the exception of the 1952/53 season when the club played in white shirts and black shorts. 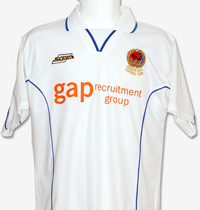 For the 1958/59 season the blue and white shirts were augmented by the city’s coat of arms in the centre of the shirt. In the 1959/60 season it was all change as Chester switched to green shirts and socks with gold trim and white shorts but this brought little success on the playing field as the club finished bottom of Division Four in 1960/61 and 1961/62. 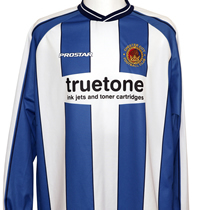 In 1962 Chester reverted to blue and white stripes, albeit with a much thinner blue stripe and blue shorts instead of the black shorts used prior to 1959. In 1968/69 Chester appeared in an all sky blue kit, which remained the standard for four years, but by the start of the 1972/73 season they had once again reverted to blue and white stripes, this time with white shorts. 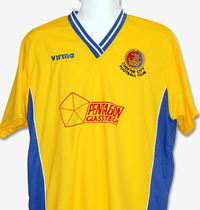 The Seals badge appeared on the shirts for the first time in 1974. Promotion in 1975 saw a switch to blue and white stripes with blue shorts while shirt sponsorship appeared for the first time in 1982/83. 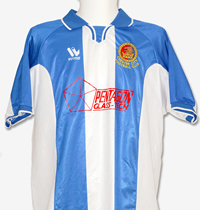 In 1983/84 the blue and white stripes and the Seals badge both disappeared as the re-named Chester City turned out in blue shirts and white shorts only to finish bottom of Division Four. 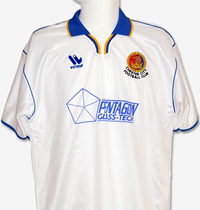 The following season the kit was modified to blue shirts with white sleeves and white shorts. 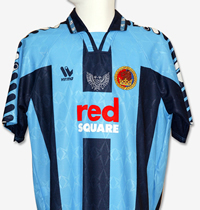 In 1988/89 the shirt became predominantly blue with a white band under the arms and for the final season at Sealand Road the shirts were entirely blue. 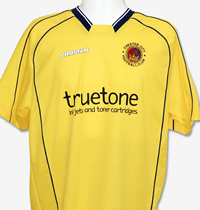 The first season at the Deva Stadium saw Chester appear in an unappealing blue shirt with a white speckled effect and the club was duly relegated. 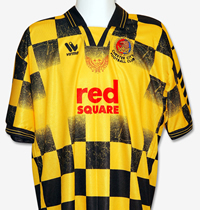 A return to the classic blue and white stripes and black shorts saw Chester promoted in 1993/94 but the club failed to learn their lesson from previous kit experiments and another garish blue and white combination saw the club relegated in 1994/95. 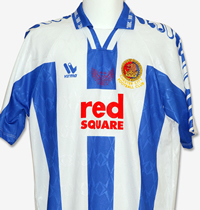 Since 1995 the club has appeared in blue and white stripes, of varying thickness and shades although they did briefly appear in sky blue and black stripes at the start of the 2001/02 season.